It goes without saying that if you are not paying serious to the mobile market, you are asking to be left in the dust trail, especially with the volatile nature of the mobile market landscape. 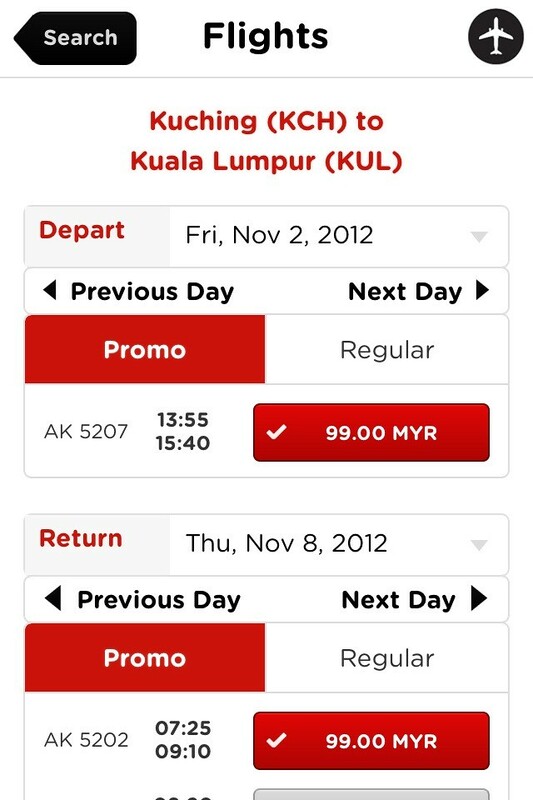 AirAsia recently released a more polished version if their app and I must say that it is absolutely gorgeous. Compared to its stinky predecessor, the new app, which was released first for iOS, sports a predominantly white theme, which is better on the eyes. Unfortunately I do not currently have any screenshots of the older version of this app for comparison, but I believe many of you have used it before. The iOS version works very well on my phone but there have been some word on the ground about this app performing sluggishly on Android devices. If you have experienced issues with this app, do share your experience with us by writing in the comments section below.